The billionth version of Godzilla recently stomped onto cinema screens, and it’s actually pretty good. It’s got Bryan ‘Walter White’ Cranston in it, there are more explosions than an amateur cooking class and, of course, there’s ol’ Lizard chops himself, wreaking havoc and generally being awesome. Of course, we should confess that we’re suckers for big monster movies here at musicMagpie, so much so that we once wrote and pitched our own. Unfortunately, no-one was up for making ‘Attack of the 100ft Magpie’, even though we promised to give the movie execs extra special rates on their unwanted DVDs and Blu-Rays. Nevertheless, Hollywood has given us some brilliant movie giants in the past. Here are our favourites. Let’s be honest, there’s only one reason people watch Jurassic Park – the bit where that bloke is on the bog and ends up getting eaten by a big T-Rex. It’s as funny today as it was in 1993 (provided you aren’t said bloke, in which case…erm, sorry). We can all learn something from T-Rex (who, like Clint Eastwood in the Dollars saga, doesn’t have a name). For example, when caged in by electric fences, he just roars loudly and knocks them down, a parallel for our own struggles with barriers and restrictions (probably). Nowhere to park? Just stamp your feet and roar loudly (it helps if you have big teeth)! He doesn’t let adversity stop him, either. He knows he has silly arms, and he knows he’ll never be able to feel the warm embrace of a female T-Rex on a cold winter’s night (his arms are too short for cuddling, you see). But he doesn’t let that get him down. Nope, he soldiers on, munching through the cast with all the glee of a 5 year-old eating cake at a birthday party. He isn’t all senseless murder, though. When the (very annoying) kids are in danger from sneaky velociraptors, T miraculously comes and saves them. Alright, he probably just wanted a fight with the raptors, but it made him look good all the same. King Kong tells a love story as old as time; big monkey meets woman, big monkey falls in love with woman, big monkey gets shot by a load of planes and falls to his death off the top of the Empire State Building. It’s a little bit unfair to include Double-K on a list of monsters because, really, he’s just a big soppy romantic. After years spent laying waste to dinosaurs on Skull Island, Kong finally finds purpose when he meets the beautiful Ann Darrow, a normal-sized human woman who fits neatly into the palm of his hand. A pocket girlfriend, if you will (but not that kind of pocket girlfriend…get your mind out of the gutter!). Then, he gets captured and taken to New York, where he has to sit on a stage while Jack Black tells the world how brilliant he is for capturing him. Is it any wonder he gets a bit peeved and starts smashing stuff? 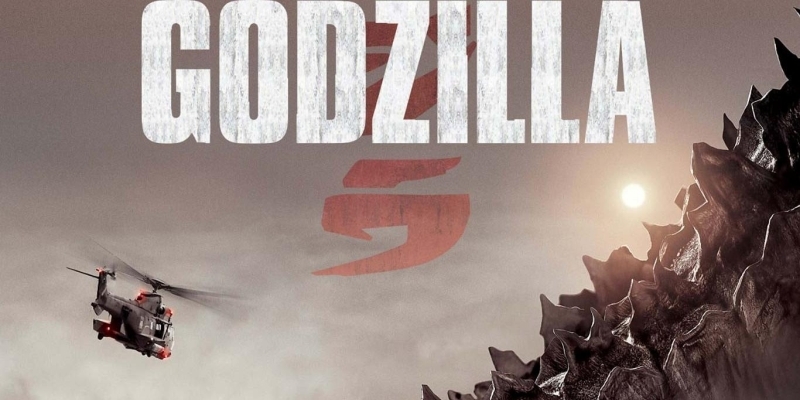 Believe it or not, Godzilla isn’t a ‘bad guy’ in Japan. He’s actually the star of his own series of movies in which he fights other big monsters. If you picture the end of every Power Rangers episode ever made (seriously, why don’t they just start in the giant robot?) and you’re more or less there. One of Godzilla’s most popular opponents is Moth-ra, who (unsurprisingly) is a giant moth. It could consume clothes on a biblical scale, meaning we can’t give you any more cash for clothes. It might do that flappy-thing in your face, like little moths, except it would really, really hurt. Moths are evil and have been planning to overthrow humanity for millennia. Of course, there is a really easy way to kill Moth-ra: get a giant lightbulb and the world’s biggest newspaper. Take that, winged beast! Cloverfield is basically Godzilla with a rubbish name (alright, its not actually his name, but we like it). Big? Check. From the sea? Check. A bit of a thing for smashing up landmarks to create images that happen to look good on a movie poster? Definite check. Cloverfield is terrifying. Just look at him/her! That face is enough to make the Dalai Lama renounce non-violence and demand attacks on all beings over 7ft tall. Even worse, Cloverfield has loads of nasty ways to kill us all. He can stomp around angrily, he can knock down bridges with his tail and he can get right in your face before eating you. The worst thing he can do, though, is unleash an army of little Cloverfield’s which bite people. These bites make somehow make people explode. Like, literally explode. The Stay-Puft Marshmallow Man is the most loveable beast on our list, but probably the most evil too. Let’s look at his loveable traits first. He’s made of marshmallow and he had quite an adorable face, like a giant baby taking his first steps. And…erm, that’s it. The rest of him is pure evil. How else do you explain the actions of something that tries to kill Bill Murray, one of the world’s finest citizens, and that hates the Ghostbusters, which no good person does? And, in perhaps his most devious act, he refuses to be sacrificed to make a delicious cure for world hunger. Who knew marshmallows hated humanity so much? Who is your favourite giant movie monster? Let us know on Facebook, Twitter or in the comments below!